You must make reservations at least 5 minutes in advance of the time at Carrie Nation. Serving food till 10p Monday through Thursday, and till 11p Friday and Saturday. For memorable cocktail and cuisine experiences in the Beacon Hill area of Boston, Carrie Nation Cocktail Club on Beacon Street offers not only an extensive menu of exquisite dishes and drinks, but also a touch of history. Come to Carrie Nation for breakfast or brunch any day of the week, or stop by for an afternoon tea. Learn about Carrie Nation’s passionate efforts to rid America of liquor while smugly indulging in the very intoxicating delights that this firebrand fiend despised. 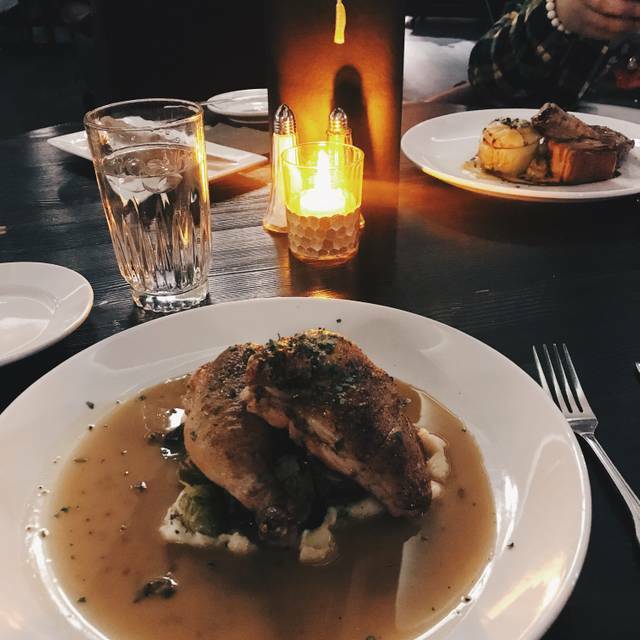 At Carrie Nation, you can experience one of the best new locations for fine dining and cocktails in Boston.Those looking for a cocktail club in Beacon Hill with a classy, but comfortable, atmosphere can experience all that Carrie Nation has to offer. We really enjoyed ourselves. The food, drink and atmosphere were great. Thank you!! We had an absolutely fabulous experience at Carrie Nation, the cocktails were outstanding, incredibly original and delicious. Our server, Emma G., was an absolute sweetheart who made sure we were looked after the whole time. The atmosphere is really cool, the speakeasy in the back has a great vibe. I would absolutely recommend Carrie Nation for a fun night out! Great for drinks and cocktails with excellent ambiance. Live music there is often fun. The food was very good. Will definitely go back. The only down side was I asked for 1 ice cube in my old fashioned and they charged me $3 for ice!!! For an ice cube! Maybe if it was the best old fashioned I’ve ever had I could look the other way, it was not. It was good, not great. Our server Kevin was excellent. He was friendly and knowledgeable about the dining and cocktail menu. The warm white bean dip was delicious but should be served with more bread. We asked for extra but still could have used more. The speakeasy section of the restaurant was a lot of fun. Kevin recommended we check it out and it was certainly worth the after dinner cocktail. Love this spot! Will never go to Boston and miss this place again! A great setting with amazing food. Extremely friendly waiter who was more than welcoming with explaining the drink and dinner menu. Will definitely be back next time we’re in Boston. 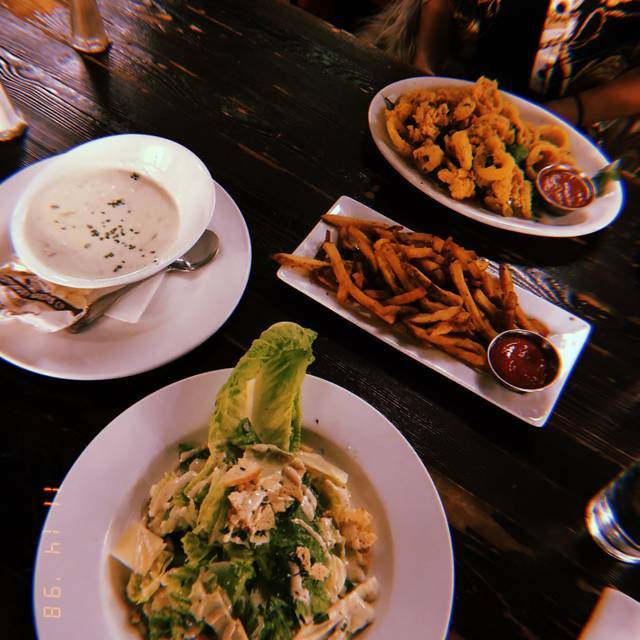 Great food and a fun mix of dinner/social bar atmosphere and in the back and upstairs a younger crowd with pool tables and a bit more bustle. We had such a GREAT time!! Our group visit on March 15th was fabulous. Kevin our server did an outstanding job . He was witty , efficient, engaging and offered good suggestions on the menu . Frank the manager was an attentive host . We will definitely return soon . Drinks were good except my parents ordered a 2015 bottle of wine and were given a 2017. If we wanted a 2017 bottle of wine we would have ordered one. The food was awful, undercooked vegetables, poorly breaded to boot. I would not go back to eat. Best part about that place was the speakeasy and decor. First time here, and I loved it. Great ambiance, very good service, and the food was very good - selection, quality, and price. The taco trio was outstanding - best fish taco I've had - very generous portion of fish, and the pulled pork taco and black bean tacos also were quite good. I'll be back. Wait a long time for my waitress to show up. After ordering appetizers, she disappeared for a while. Have to get a different waiter to take our order of main dish after we clean out appetizer plate. More waiting for food. She came by but was not aware that we already order our main course. There is the lack of attention but the restaurant is not packed, so don’t know why service is so slow. Great lunch spot. Loved being able to get reservations, and it was very quiet. The menu has a wide variety and our waitress accommodated for our preferences. The drinks are delish! Very, very loud! Tasty but weak drinks. The white bean dip was awesome! Highly recommended. Nice place to go to get some drinks and light food. Awesome ambience and food selection. Very reasonably priced. Service was super slow even though there weren’t that many customers there. One of our apps was undercooked and one of the drinks was flat instead of bubbly. Service was unnecessary lacking, we were one of four tables at the time of seating. The server was blah, he got to us when he felt like it. There was over 10 minutes from sitting down until we were asked for drinks, was not impressed. Also, not a single smile to be found. The server assistant on the other hand was sweet as could be and she was simply presenting and removing our plates. Food was fantastic, drinks were great. Nice place for dinner before a show. Great atmosphere and friendly staff. We were seated very quickly. Service was a bit slow, but worked with our timeline so it wasn’t an issue. Food was wonderful! Fresh and well seasoned. Portions were good, as were the prices. Overall a very happy with our choice and would absolutely go back. The food was incredible and the service was too. I loved the ambiance and decor and the drinks were great. Definitely one of my new favorite places and I can’t wait to go back. Great cocktails, food was good. Ambiance was great - was there early so was quiet not sure if it gets louder when busier. Will definitely go again! We were one of three families dining and the service was terrible. They kept saying they were understaffed, but they never came by the table unless we called them over. Excellent. Glad we had reservations! The food was delicious - we had the baked brie appetizer, the BBQ bowl, and the pork trio. The service, however, was really terrible. I waited almost 15 minutes at the host stand - was addressed momentarily and told a table was ready, but then made to wait another 12 minutes. The host was gone most of the time. There was a large holiday party there, and they seemed to have the full attention of the staff. The waiter also disappeared for long periods of time and seemed completely annoyed anytime we needed anything. Quick take: Food and ambiance were great, service was atrocious. Meh. Had heard lots of good things, the experience did not live up to what I had heard. Server was, to be nice, in the wrong profession. Will try again, maybe it was a bad day. My Co-workers and I had a very enjoyed Holiday lunch. Delicious and the staff was so accommodating! The show we attended prior to dinner got out late, and the staff was so kind to alter our reservation without issue. Delicious cocktails with super satisfying food! Food was great! We modified a few dishes and everything came out exactly how we asked. The ambiance was also really very nice. I was surprised by how nice the atmosphere was for such reasonable prices. Will definitely go back.